I Walked with a Zombie was the second collaboration between director Jacques Tourneur and producer Val Lewton and it followed on from the irresistible moodiness of Cat People (1942). 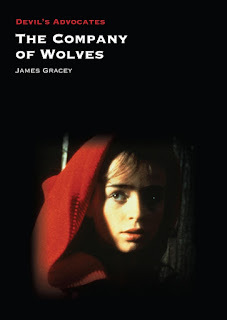 Essentially taking the film’s rather lurid title from a newspaper article, and transporting elements of the plot of ‘Jane Eyre’ to a tropical setting, the filmmakers have created one of the most subtle, chilling and downright poetic horror films ever produced. This speech enhances the underlying themes of death and despair that the film is enshrouded within, and creates an atmosphere pregnant with foreboding and strange melancholy. 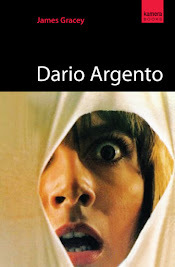 The eerie atmosphere of the film is enhanced by the beautiful cinematography. 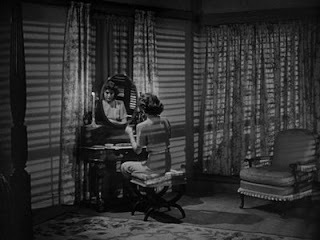 Director of photography J. Roy Hunt is a master of chiaroscuro, and every scene is awash with pools of light tapering off into the darkest of shadows and is simply breathtaking. There are so many startling images contained within this film and they are all bathed in such an unnerving beauty, largely due to the way in which they are lit. 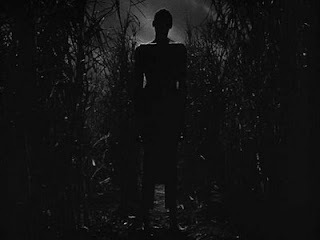 One of the film’s stand-out set pieces occurs when Betty decides to take Jessica to a voodoo ceremony – what follows is one of Lewton’s infamous ‘walks’ – an event that reoccurs in many of his productions. 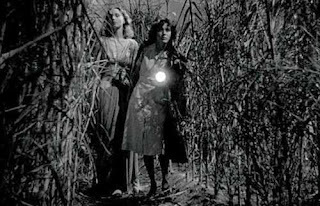 The two women wander through a field under the eerie light of the moon, the camera gliding serenely after them. The use of sound in this scene is also extremely effective: music is completely absent; all we hear is the wind rustling and howling hauntingly through the trees. It is also in this scene that we are introduced to the film’s titular zombie, Carrefour (Darby Jones). The camera tracks along the ground following the beam of light from Betty’s torch and comes to rest at a pair of bare feet. Moving up from the feet we are confronted with the most striking of faces: cold, dead eyes stare blankly from a strangely sad and yet horrifying face. Betty is one of Lewton’s typically resourceful female characters. 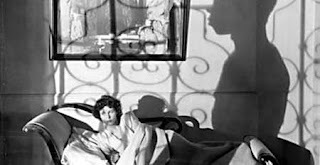 While other female leads in 40s horror films were reduced to fainting a tad too much, Lewton’s women were resilient, courageous and strong willed. Frances Dee’s performance is sturdy and she imbues Betty with a sense of innocence and undeniable tenacity. Events continue to languidly unfold until the unavoidably tragic climax that still retains such an impact today. I Walked with a Zombie is an underrated and atmospheric film of such heavy-heartedness. It fully showcases the talents of both Tourneur and Lewton, and regardless of the slightly silly title, the film remains a darkly beautiful visual poem. ‘You shouldn’t get mad at the New York reviewers. 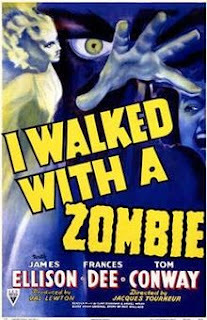 Actually, it’s very difficult for a reviewer to give something called ‘I Walked with a Zombie’ a good review.’ An all too modest Val Lewton, in a letter to his sister, 1942. 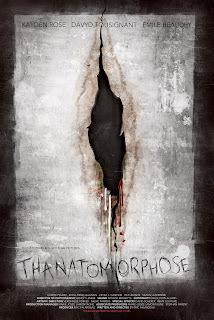 I haven't seen this movie yet, but it's definitely one I'd like to check out after reading your review James. Some fantastic still shots there.